Superior protection thanks to a dual layer construction. 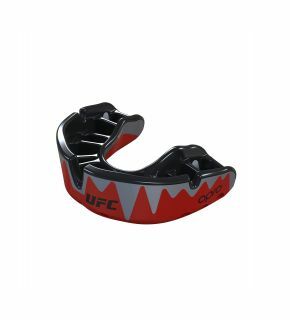 Buy your Official UFC OPRO Mouthguard. 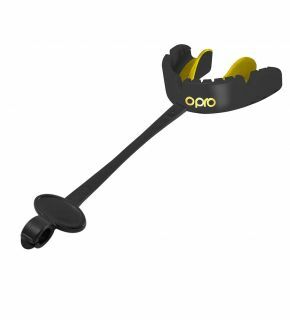 What is the OPRO Gold Braces UFC Mouthguard? 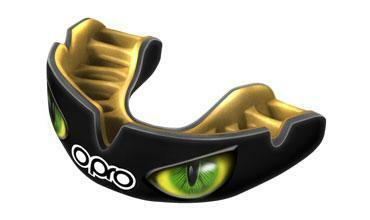 Suitable for those aged 10+, the OPRO Gold Braces mouth guard is a must have for those who participate in any combat sport including MMA, boxing, karate, etc. The braces have shortened fins and a brace bumper to ensure maximum shock absorption. This is an official UFC gum shield and comes with antimicrobial additive. This inhibits the build-up on up to 99.99% of bacteria so you’re safe in the knowledge that you’re protected! This OPRO mouth guard is specially made for those who wear fixed braces. The mouthguard itself also has anti-microbial protection as standard in all Gold levels. Fitting your OPRO gum shield for braces is quick and easy. Fitting any OPRO self-fit mouthguard takes just a few minutes. You can either follow the easy to follow instruction in the pack, or the instructional video. Each pack comes with an OPRO fitting cradle. This allows you to centre the gum shield in your mouth as well as make the moulding process easier. What you’re left with is a unique mouthguard to you that fits securely and is comfortable. Ordering your gum shield online from OPROMouthguards.com is very easy, almost as easy as fitting your mouth guard. Order by 3pm on any working day to take advantage of our next working day delivery.